The Retreat at One Hundred Hills, is a guard gated community comprised of semi-custom and custom homes, many having spectacular mountain and city light views. The Retreat offers community tennis courts and a community pool, in addition to two additional community pools, tennis courts, basketball courts and playgrounds offered to McDowell Mountain Ranch residents. Homes at the Retreat were built between 1998 and 2009. 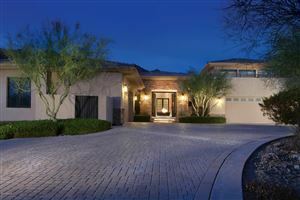 See all 100 Hills in McDowell Mountain Ranch.